MASVINGO - Teresa Mate (71) of Hillside Suburb in Masvingo was electrocuted on Saturday afternoon when she tried to rescue a grandson who was hit by an electric shock while cutting branches of an avocado tree at their house. Farirai Mate who survived the electrical shock jolt said his grandmother had asked him to cut off the branch of a tree that caused electrical shocks to anyone who leaned on the tree. Farirai said his family reported to Zesa on several occasions about the shocks that the tree was causing and they were told to wait for load shedding and then cut off the branch. He also said that Zesa office in Masvingo demanded $60 for its workers to come and cut the tree. 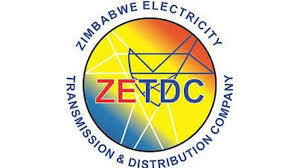 Zesa spokesperson Fullard Gwasira said it was his organisation’s responsibility to cut down trees encroaching into power lines. He said some people would insist on cutting the trees themselves and added that the Hillside case was still under investigation. Farirai used a machete to cut off the branch and he was struck by an electrical shock. His grandmother who was working in a garden walked back into the yard to find her grandson lying motionless on the ground. According to a neighbor Vimbai Mabhegedhe, she tried to remove her son from near the wire using a slop and that is when she was struck. “Mate came from the garden and found her grandson in trouble after trying to cut off a branch of an avocado tree,” said Mabhegedhe. Farirai was finally rescued by Teresa but Teresa’s body smoldered as it continue to burn from the electric power. Farirai was taken to Masvingo General Hospital and his grandmother’s body was taken by the Police for postmortem. Raphael Ngwenya said that the situation was so bad for the granny that the only thing that people could do was call the Police before the body was turned into ashes. Neigbhours said that Farirai was so traumatised by the death of his grandmother that he suffers mental lapses. “He feels guilty that he was the cause of his granny’s death,” said a neighbor.